Before we look at the single categories, we would like to say a few words about the models. 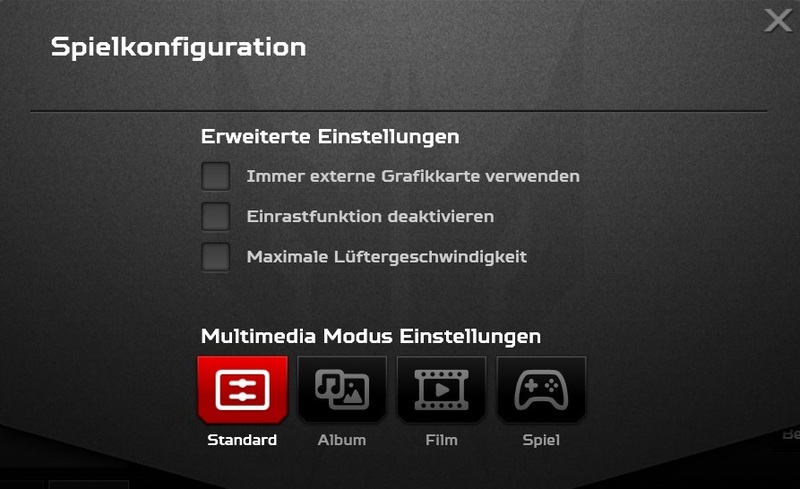 While the screen of the model available in Germany always has a resolution of 1920x1080 pixels, i.e. Full HD, there are differences in the storage devices. 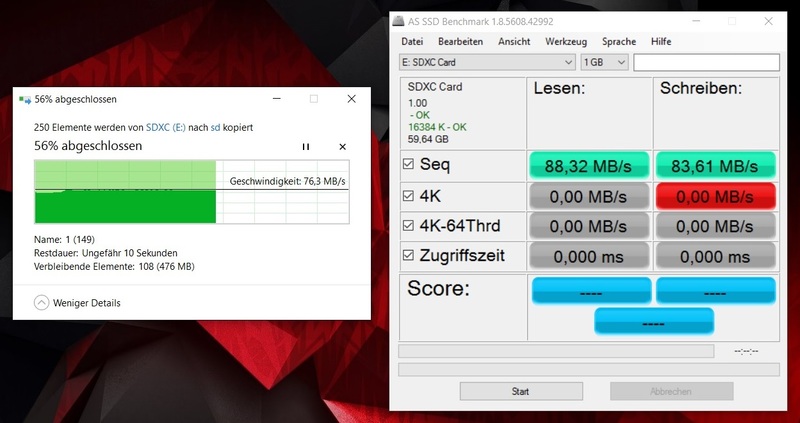 Depending on the price, the 64-bit edition of Windows 10 Home runs on a 128, 256 or 512 GB M.2 SSD that is accompanied by a 1000 to 2000 GB HDD. 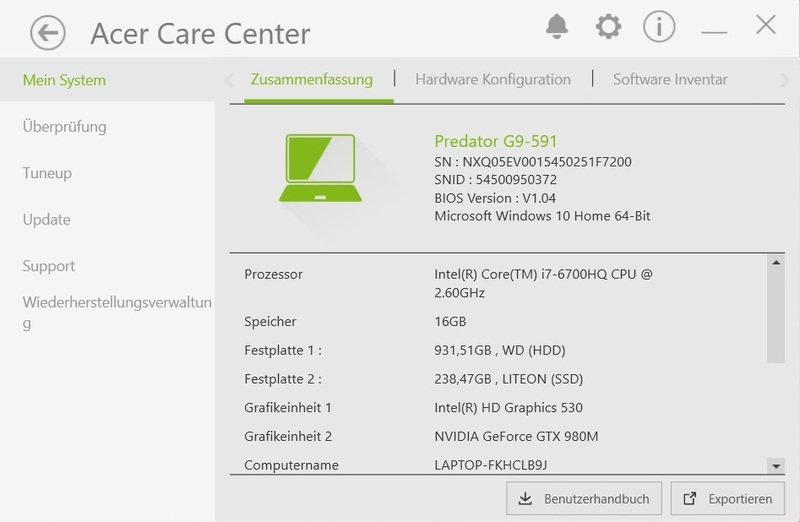 The graphics card is either a GeForce GTX 980M or GTX 970M. They still belong to the strongest laptop models of all time even after the launch of the GTX 980. Pretty much the same is true for the processor. Intel's Core i7-6700HQ can boast with lush performance and high efficiency thanks to the Skylake architecture. 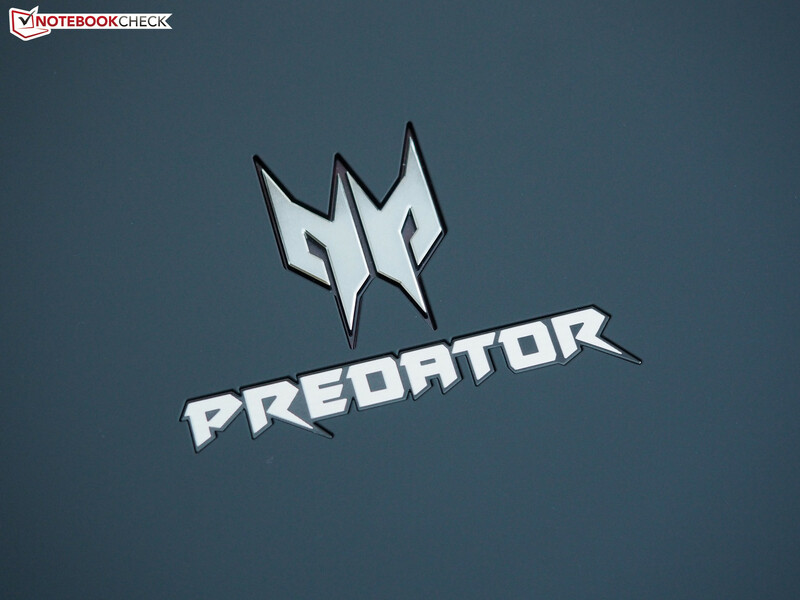 There is no accounting for taste, and feelings about the Predator 15 will also be split. In our opinion, the laptop's looks are rather unfortunate. Of course, we are pleased that Acer displays courage to be different on the one hand. However, the outcome gives reason for complaint. 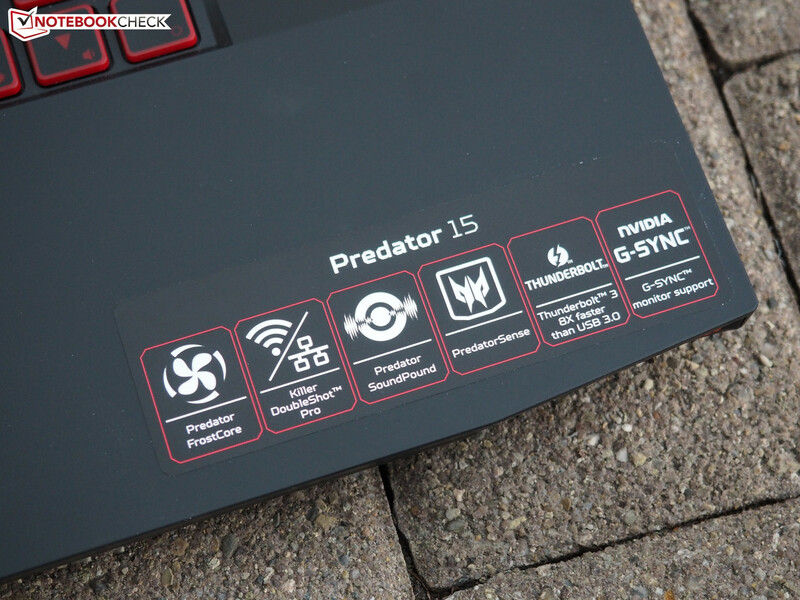 The Predator 15 virtually screams: "Look! I'm a plaything!" 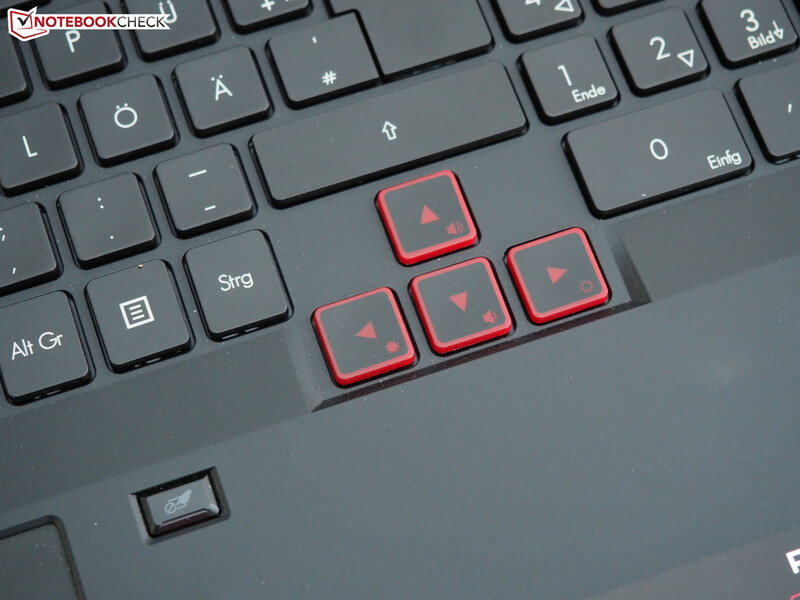 with its red WASD and arrow keys. 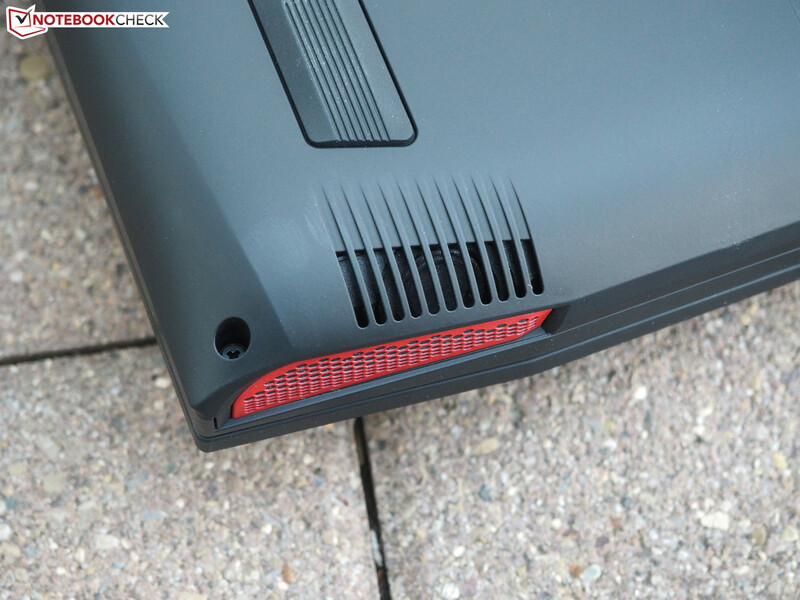 The marked vents on the rear and the illumination (power button, lid, etc.) are equally overkill. 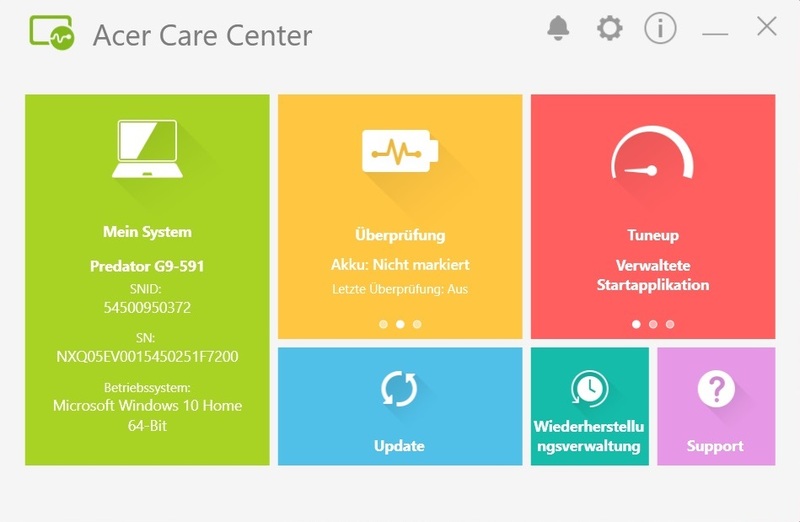 Acer does not use homogeneous colors. While the numpad shines blue, the rest of the keyboard is illuminated in red. The key for disabling the touchpad is lime-green. 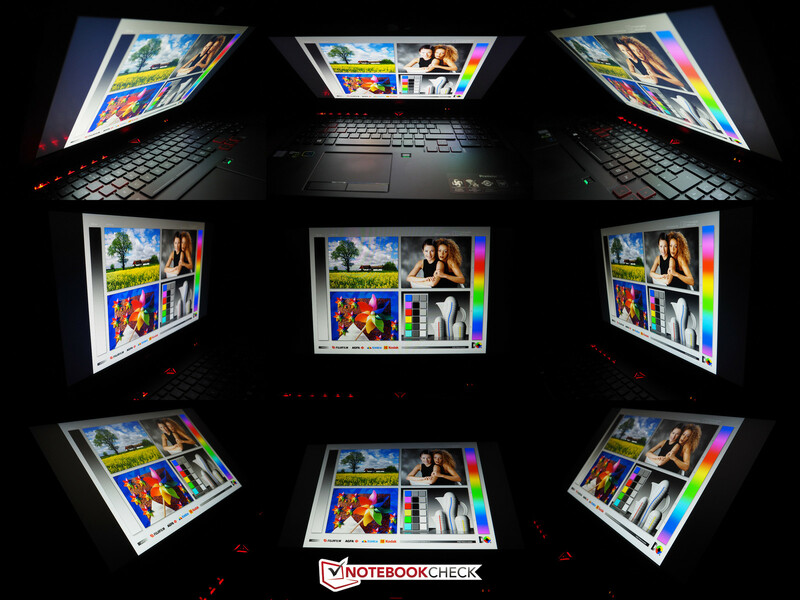 The 15-inch laptop reminds us of a 90s party with garish neon lights without manual tuning. However, the laptop is everything but restrained even when it is off. Despite a certain relationship with Asus' G700 line, we like the design of the competition much more. The laptop's stability does not give much reason for complaint. The base unit is agreeably stiff not least thanks to its thick design (almost 4 cm). More care is at most needed for the lid. It warps and dents noticeably under corresponding force - which is typical for laptops. The hinges do a decent job. Shocks only cause the lid to rock marginally. Most buyers should also be satisfied with an opening angle of 140 °. It depends on the user whether the materials will be appreciated. Despite the premium price, Acer does not use metal, but "only" plastic that is rubber-coated. The rubber finish gives the lid, upper side and casing's underside a pleasant feel, but they also tend to smudge under greasy or moist hands. Only the display bezel does not feature a soft-touch finish. The device is not ideal for carrying around frequently. We would call 3.6 kilograms heavy. 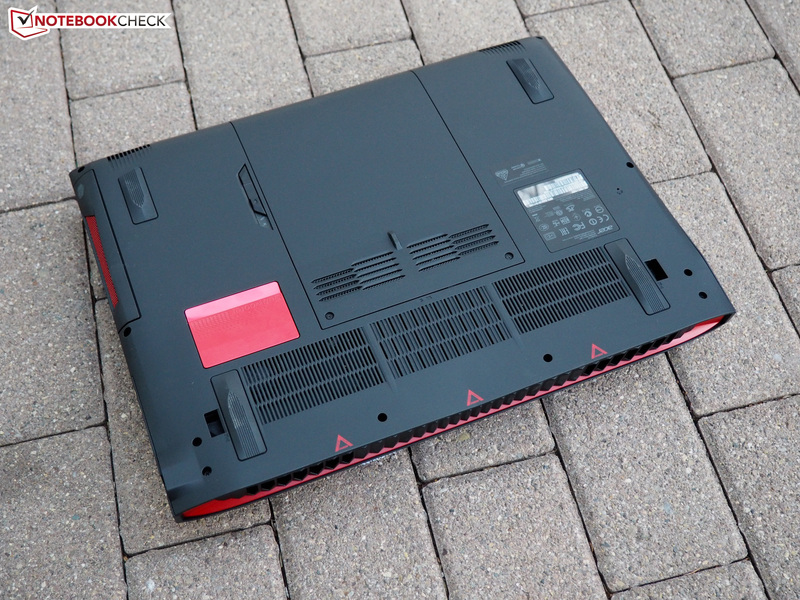 The new revision of Alienware's 15 only weighs 3.1 kilograms. 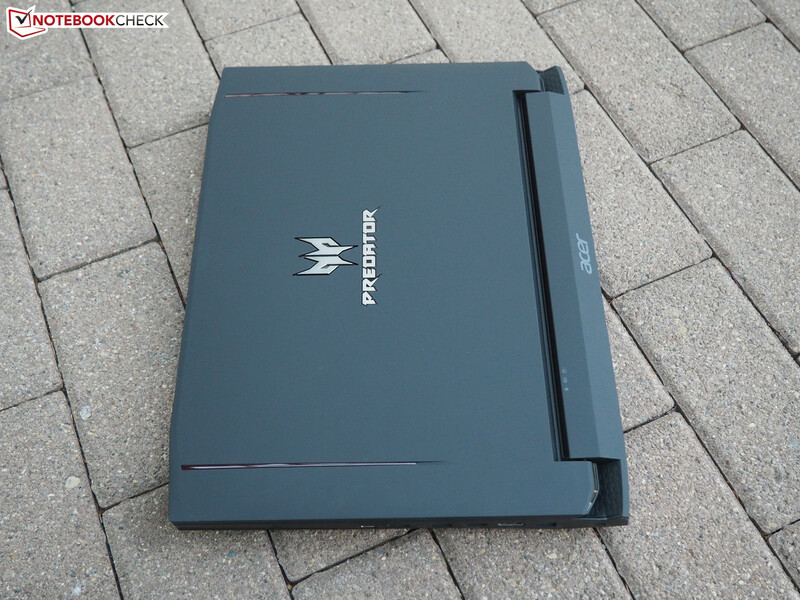 Schenker's XMG P506 and Gigabyte's P55W v4 only weigh 2.7 kilograms. The Predator 15 makes a good quality impression. The build proves to be impeccable in most places. Only the optical drive or FrostCore did not close flush with the review sample's casing. 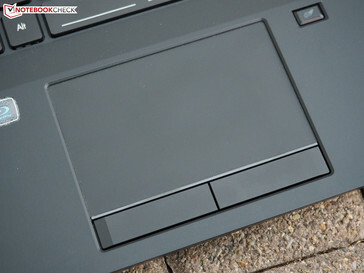 The interface diversity is similar to that of Alienware's 15 R2 or Schenker's XMG P506. Four USB 3.0 ports justify the high-end claim as much as an HDMI and DisplayPort-out. 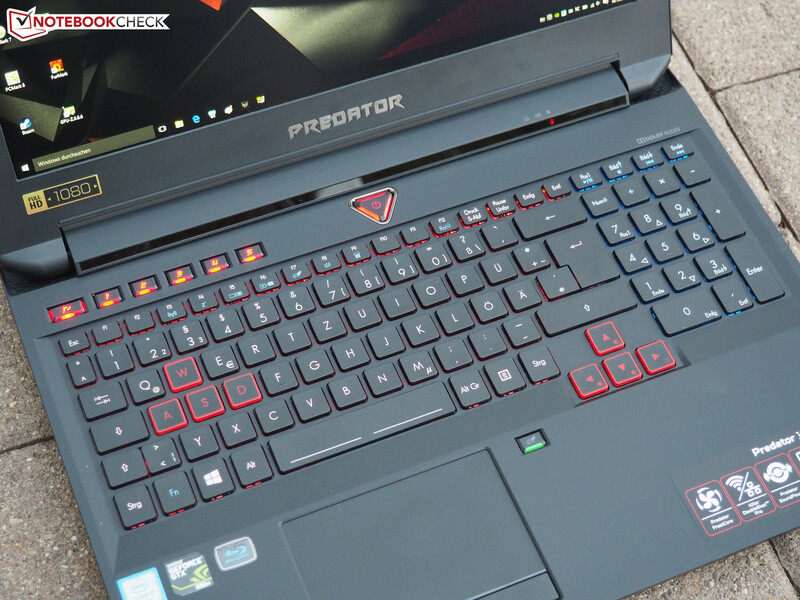 As appropriate for a modern gaming laptop, the Predator 15 also sports a USB 3.1 port (Type C) with Thunderbolt 3 support. The audio jacks are more restrained. Only two jacks (headphone + microphone) are a bit scanty. By comparison: The XMG U506 by Schenker Technologies boasts with a total of four audio jacks. Although Acer positions all interfaces on the side, mouse users will not be faced with major restrictions. Cables from peripherals will not interfere since almost all ports are gathered in the rear half of the casing. The card reader's performance is not particularly high. A maximum of 88 MB/s in sequential read and 76 MB/s when transferring images is only middling. Our Toshiba Exceria Pro SDXC 64 GB UHS-II test card could theoretically achieve up to 260 MB/s. 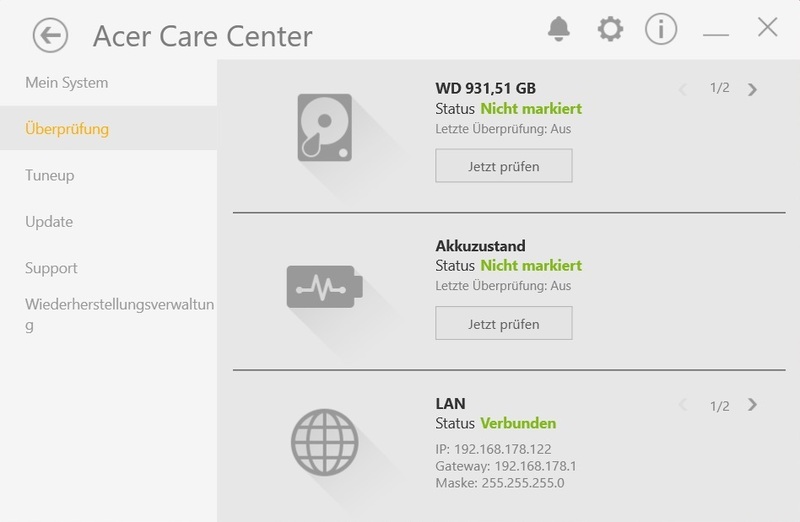 Products by Qualcomm Atheros take care of communication. The e2400 Gigabit Ethernet chip and Wireless n/a/ac 1535 wireless module are found in many gaming laptops. 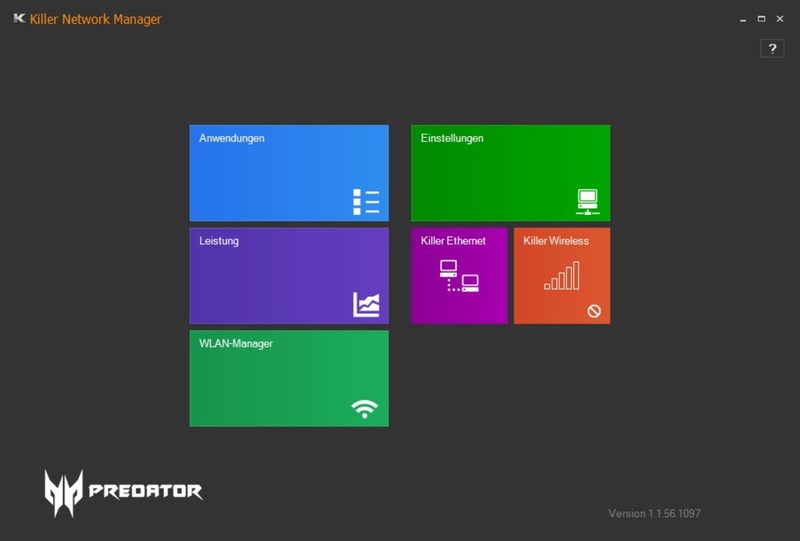 No wonder seeing that the Killer lineup has a handy tool for controlling and optimizing data traffic (Killer Network Manager). The Wi-Fi range of the review sample was above average in the author's test setup. A combination of several walls and a distance of 10 - 15 meters to the router resulted in almost 130 MB/s and 1-2 signal bars, although with occasional interruptions. 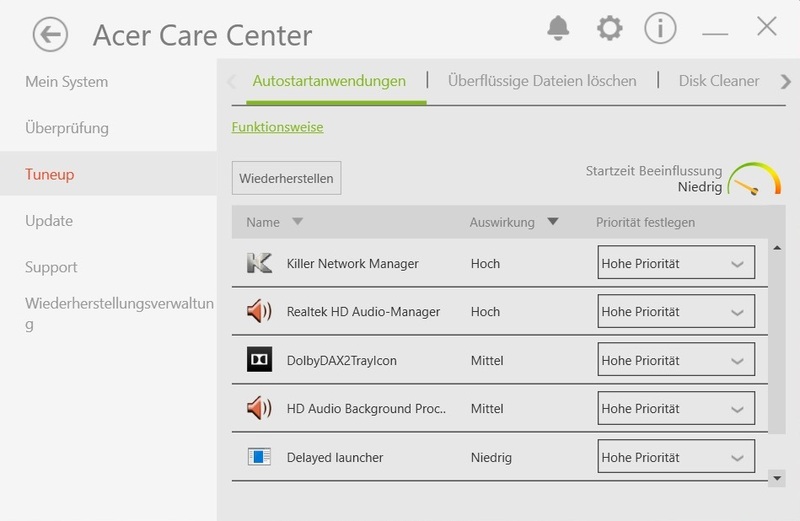 Unlike other companies, Acer does not overdo it with preloaded software. Although the Predator 15 has plenty of features, they are united in only a few programs. 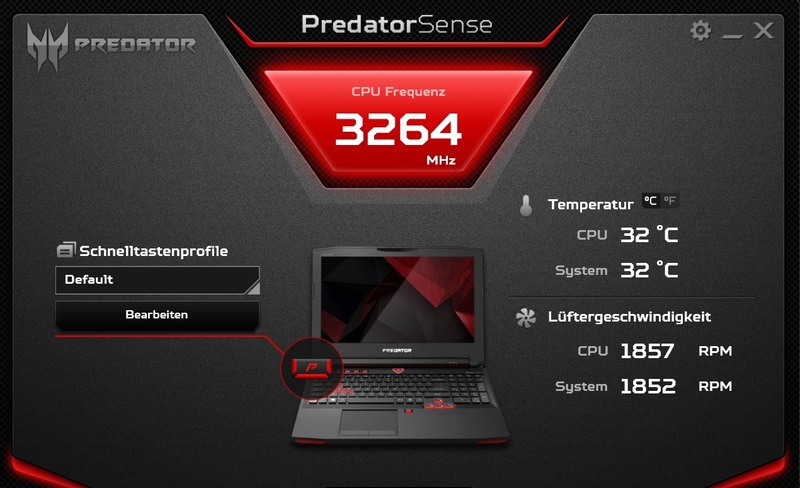 For example, PredatorSense that only displays the CPU clock, temperature and fan speed at first glance. However, clicking on the "Edit" icon takes the user to a new menu. 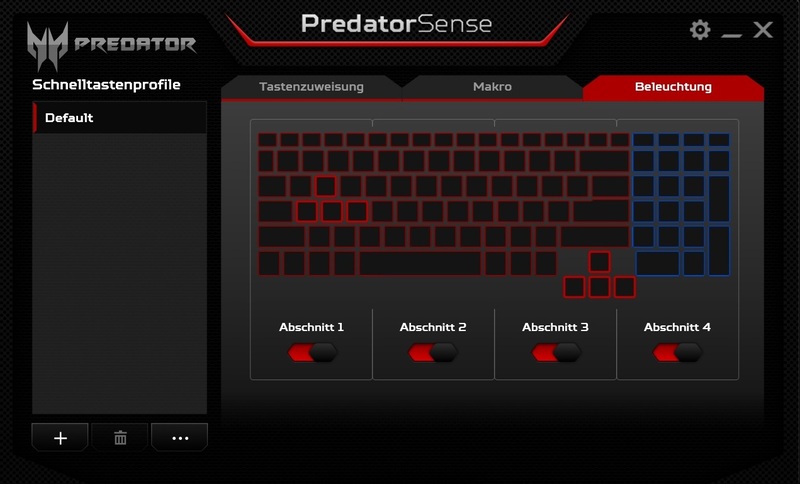 Here, the keyboard's keys can be mapped in "ProZone" (five special keys in 3 levels); the macros and the 4-zone backlight can be changed or configured. 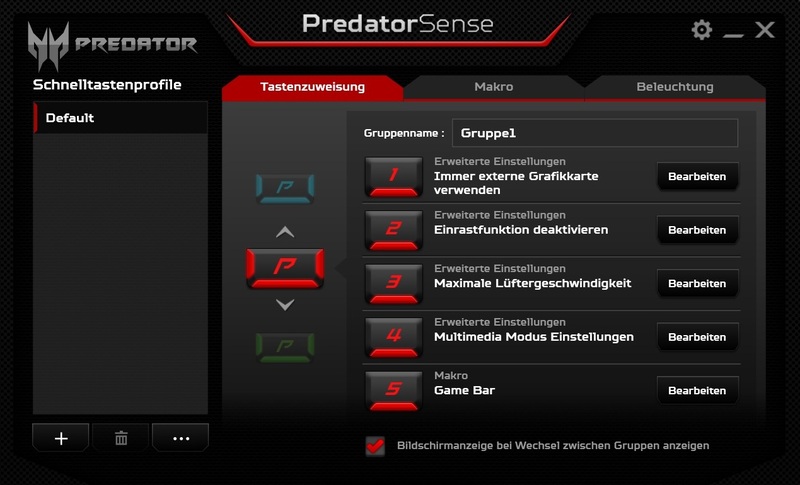 Note: The system runs the fans at full speed when PredatorSense is started the first time. The extended settings have to be opened (dial in upper-right corner) to slow them down again. 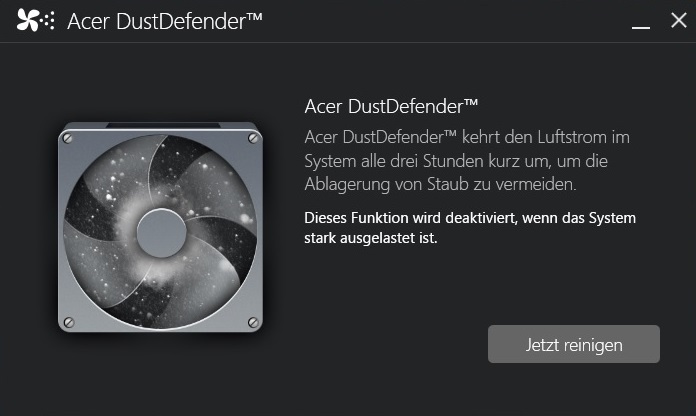 Talking about cooling: Acer preloads a tool dubbed "DustDefender" to make up for the limited maintenance options a bit. It is to reverse the airflow for a moment every three hours so that not too much dust accumulates. 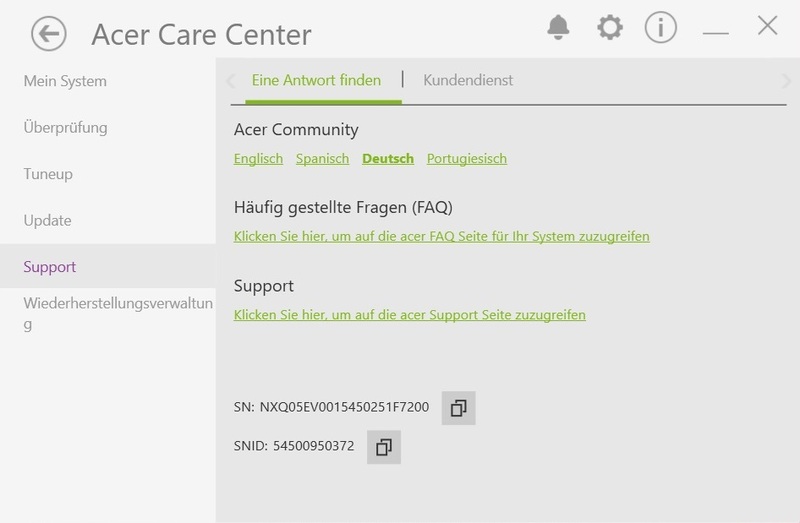 The "Care Center" offers the most options. No matter whether system information, update, support or recovery - the user will find information about virtually every topic. The accessories included for the PR sample gave no reason for exultation since Acer does not include drivers and recovery DVDs. 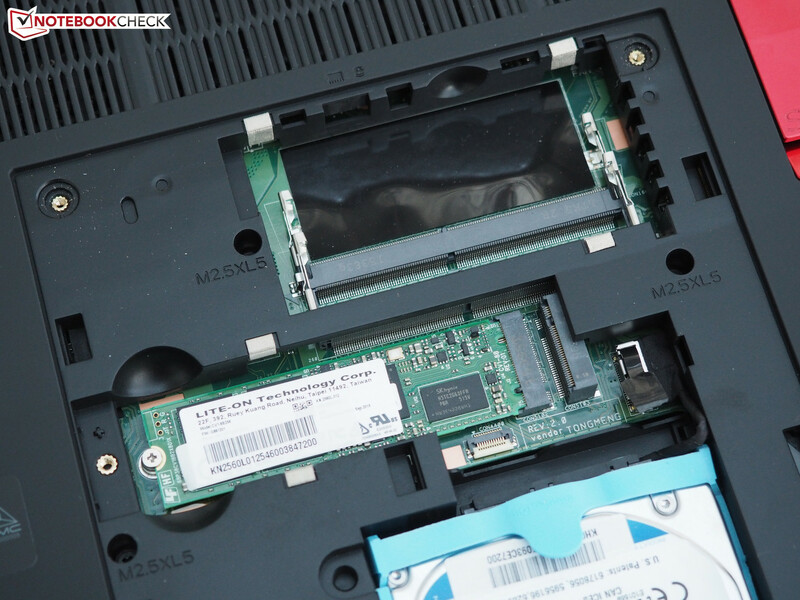 A setup guide and warranty leaflet is standard in the laptop sector. However, the aforementioned extra fan is in the box, and it can easily be swapped for the optical drive. The power supply is medium-sized with 15.5 x 7.5 x 3 cm. As said earlier, component accessibility is definitely unsatisfactory. 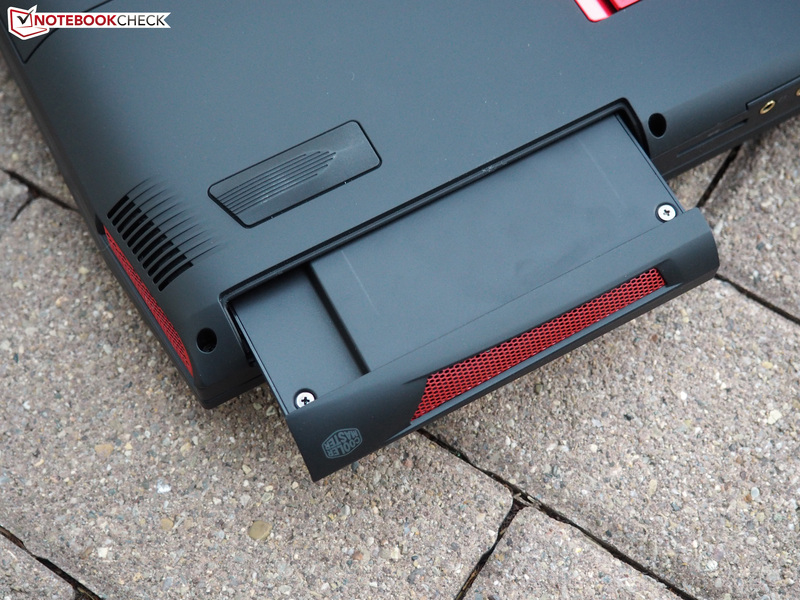 The small hatch only conceals the HDD, SSD and two empty DDR4 RAM banks. The entire base tray would have to be removed for accessing the cooling system or battery, which takes time and nerves. The maintenance of other gaming laptops is much easier. Particularly the Clevo barebones score with superb accessibility (first and foremost the P751DM). Note: It is not possible to replace either the CPU or GPU. The processor and graphics card are soldered to the motherboard. This, however, applies to almost every laptop. Acer includes a two-year warranty on its product (12 months international). It is a pick-up and return service. The input devices can compete with the rivals. 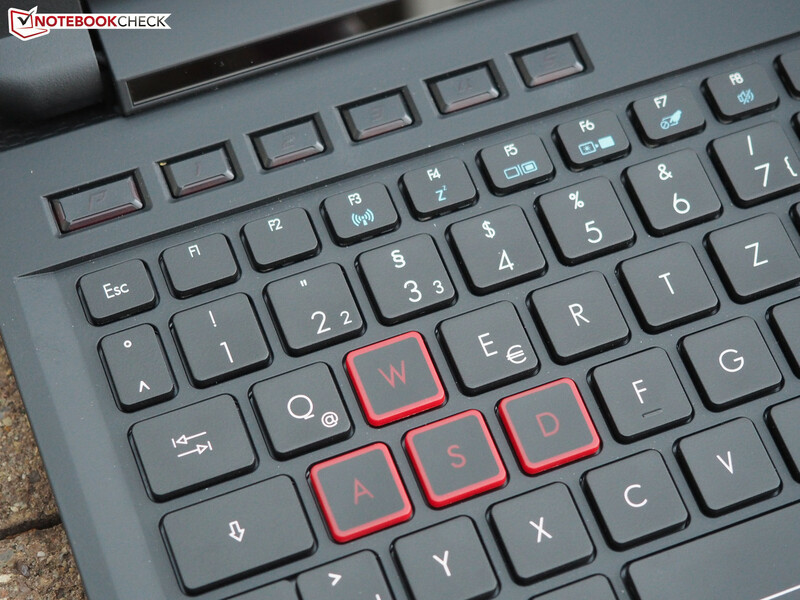 Acer installs a chiclet keyboard with floating keys. While the spacing between the keys is 3 millimeters, the keys have a size of 15 x 15 millimeters. Only the F row is narrower with a height of 10 millimeters. As usual, multiple functions can be triggered via the FN key. Acer places some functions, i.e. volume and brightness controls, on the separate arrow keys, which is very convenient. The typing feel is also convincing. Unlike some other laptops, the keyboard does not clatter strongly. The drop is also perfect, so not too short or too long. The dedicated numpad and one-level backlight that is automatically disabled in battery mode after a while are further plus points. Only the areas marked in red and the ProZone keys are sometimes difficult to read. It is possible to place the whole hand on the base unit since Acer places the keyboard quite high. The touchpad is also decent. We will primarily remember the surface. Although the soft finish limits the sleekness, the touchpad has a very pleasant feel. We were not as satisfied with precision. The mouse replacement occasionally tended to be inaccurate. Acer could also optimize the positioning. The sharp drop always involves overcoming a gap when switching from the mouse keys, which is annoying in the long run and lowers input speed. Generally, the touchpad should be disabled in gaming sessions to prevent unintended mouse movements. Apart from that, Acer gives a good presentation. The mouse replacement has a sufficient size of 10.5 x 6.5 centimeters, and multitouch support also earns praise. Websites, documents and images can be zoomed, scrolled or rotated impeccably via a gesture. Unsurprisingly, a matte FHD panel with 1920x1080 pixels is used. A model by LG is installed in our review sample. The LP156WF6-SPP1 (monitor ID: LGD04D5) belongs to the best IPS products on the market in the 15-inch sector. That starts with the above average contrast of 861:1. A brightness of almost 287 cd/m² is also impressive and will suffice for most application scenarios. It will perhaps only get difficult in direct sunlight outdoors. The black level is also decent for an IPS panel. 0.36 cd/m² only leads to a slight grayish tint in dark gaming and video scenes. An illumination of 86% is also good especially since we did not observe backlight bleeding at the display's edges. Kudos also goes to color reproduction. 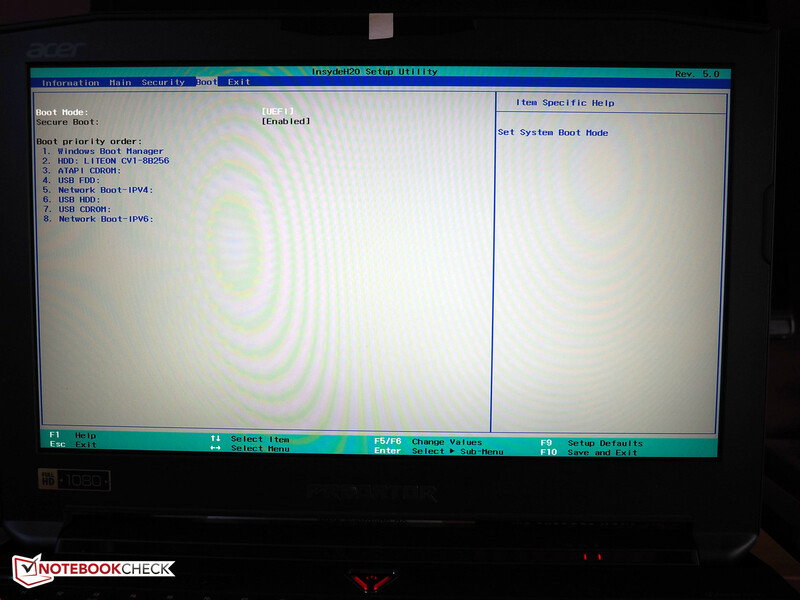 The laptop fares well in the tests using CalMAN software (see screenshots). Only a few rivals undercut a DeltaE rate of 2.53 in grayscale levels and 3.83 in ColorChecker. The gamma value (2.42) and color temperature (6934 K) are also quite balanced. 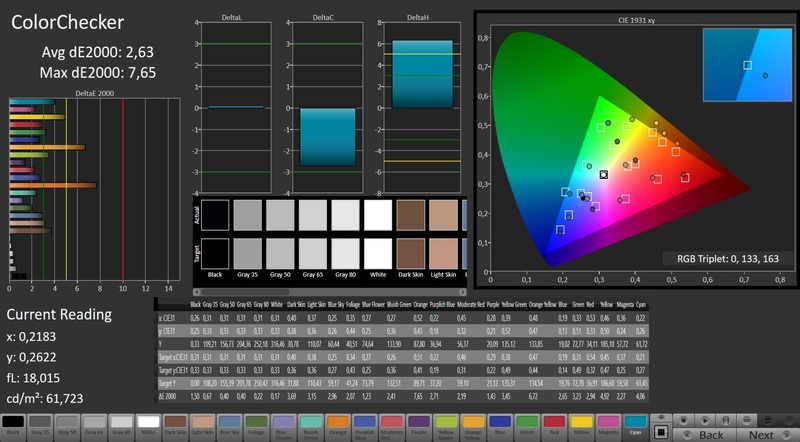 Professional users will also look at the color space. The Predator 15 does a good job here: Rarely do IPS laptops achieve over 86% sRGB and 56% AdobeRGB, regardless whether it is Gigabyte's P55W v4 (53% AdobeRGB) or Schenker's XMG U506 (55% AdobeRGB) that sport a panel with almost the same name. The biggest advantage of IPS technology is the viewing-angle stability. The image still looks fairly natural even from unfavorable seating positions. 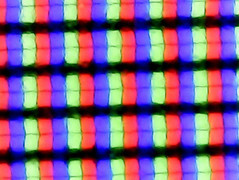 TN screens usually tend to distort much faster. We measured a response time of 25 ms (black-white) and 31 ms (gray-gray). Even if these rates seem high, the benchmark course was finished without streaking. 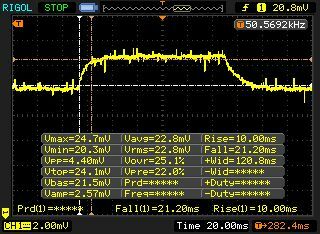 Pulse-width modulation for controlling the brightness was not used according to our tests. Consequently, sensitive users should not perceive flickering. 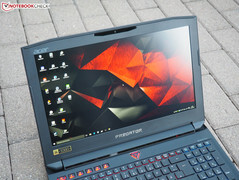 Although Acer does not yet have much experience with expensive gaming laptops, the review sample's configuration is very balanced. 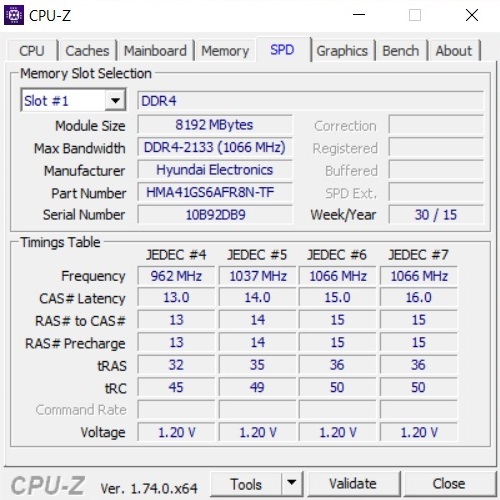 16 GB of DDR4 RAM (2 of 4 slots filled) and a quad-core processor with Hyper-Threading technology should provide enough power for the next few years. A mix of SSD and HDD is also frequently found in the premium range. 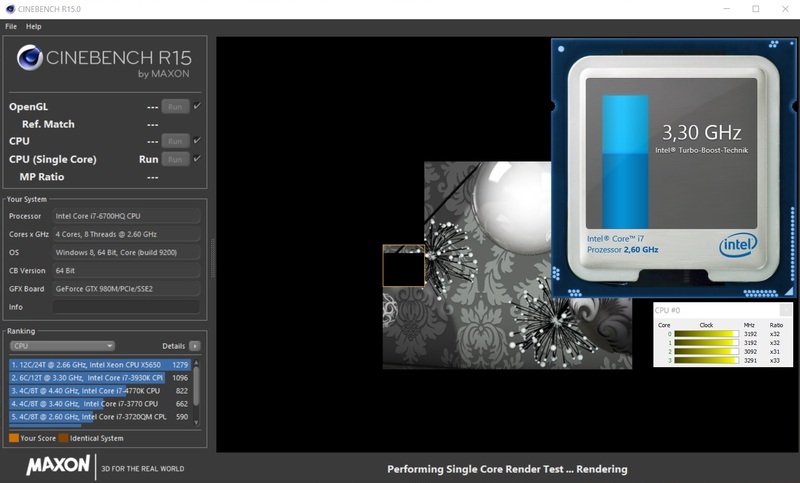 Naturally, the graphics chip has the biggest impact on 3D performance. 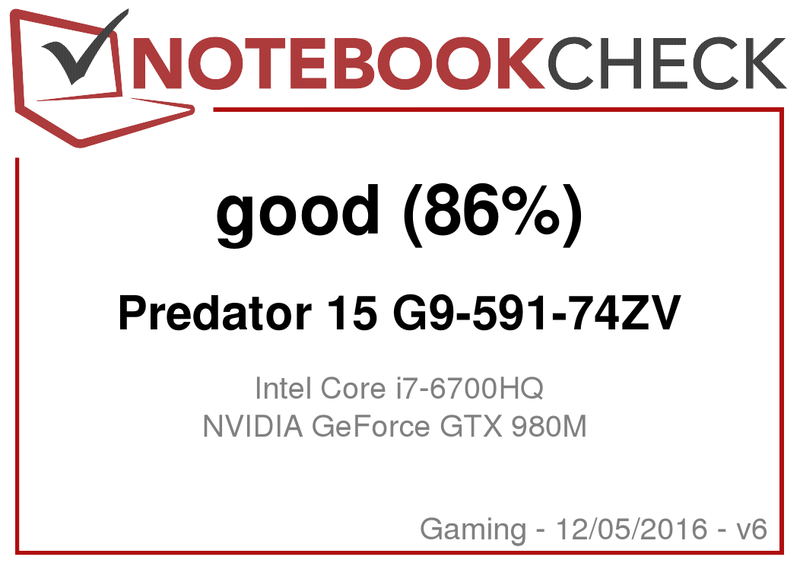 Nvidia's GeForce GTX 980M is presently the second-best laptop model. 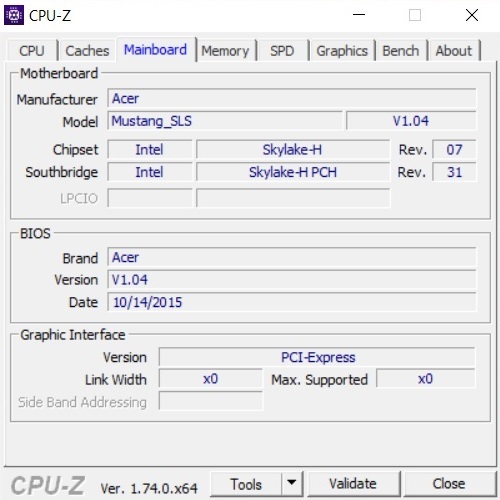 To be state-of-the-art, Acer integrates a 14 nm CPU from Intel's Skylake generation. 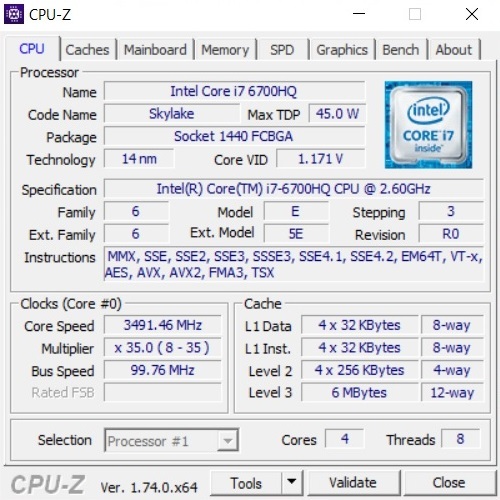 The Core i7-6700HQ only calculates 100 MHz slower than the Core i7-6820HK sister model under load. However, the latter has an 8 rather than 6 MB L3 cache. The TDP of both CPUs is identical. Intel specifies 45 watts in both cases. The Predator 15 faltered slightly in the test of the Turbo Boost feature. 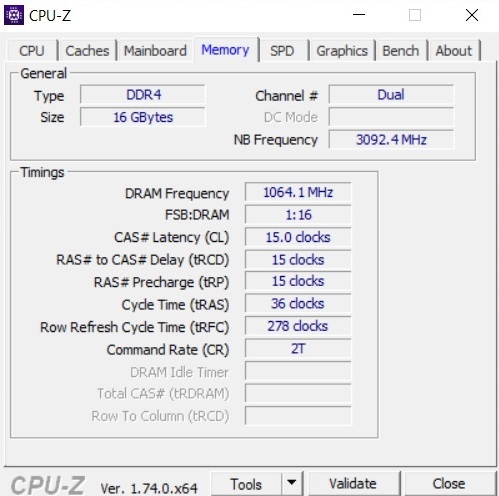 The clock dropped from 3.1 GHz to 2.8 - 2.9 GHz at some time during the multi-core test of Cinebench R15, which explains the marginally better outcome of other 6700HQ laptops. 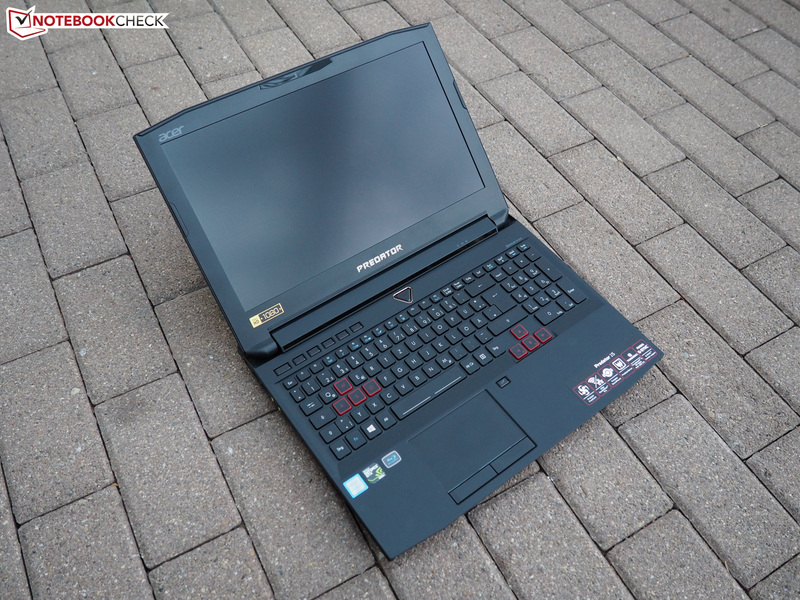 For example, Schenker's XMG P506 and Alienware's 15 R2 achieve 3% more. 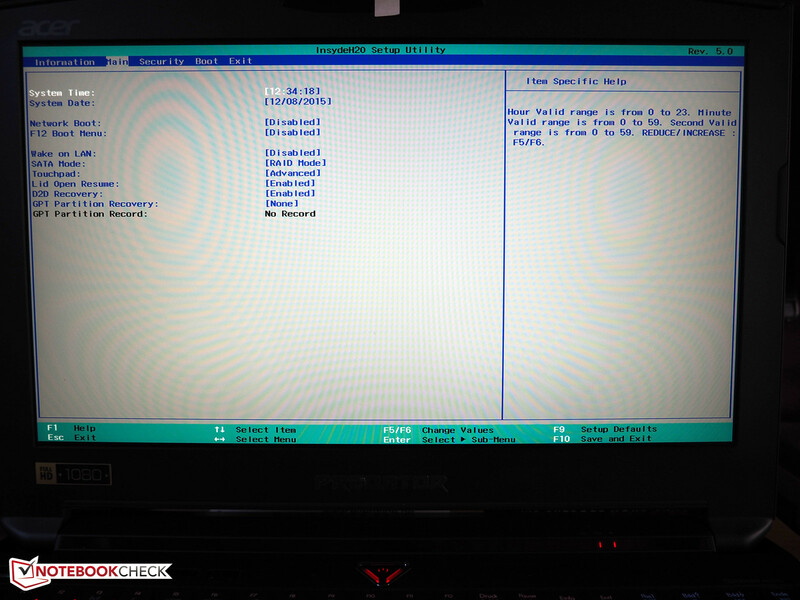 The Core i7-5700HQ in Gigabyte's P55W v4 also reaps in a higher score. Since 3D programs are limited by the GPU, gaming will not be restricted. The four laptops are roughly on par with 143 - 146 points in the single-core test. Too bad: The quad-core throttles to 2.5 GHz when removing the power supply. 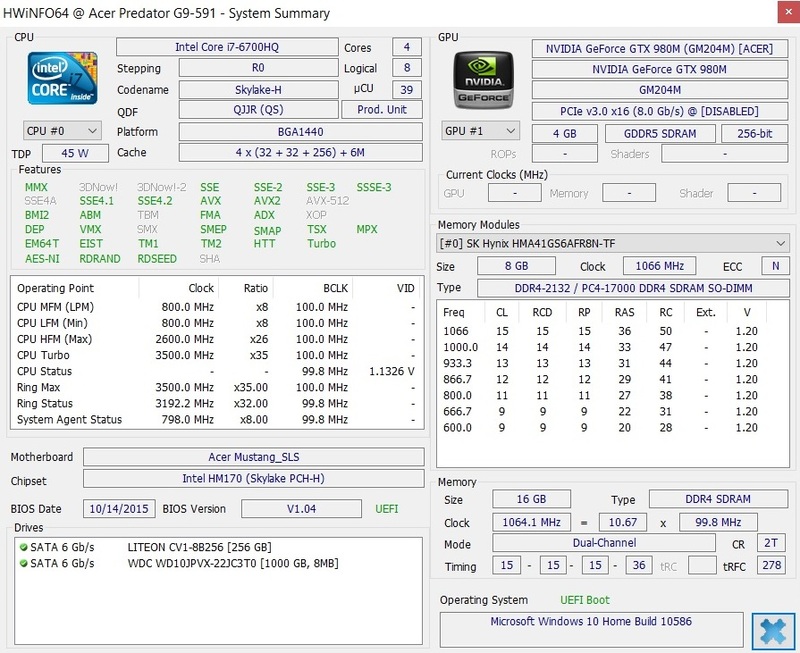 Thanks to the premium components and solid state drive, the Predator 15 does extremely well in the system tests. 6021 points in PCMark 7 roughly equals the average of Alienware's 15 R2 (5846 points) and Schenker's XMG P506 (6228 points). Then again, the XMG U506 with a desktop CPU surpasses the 7000-point mark. We have mixed feelings about the SSD. On the one hand, it is great that Acer installs a compact M.2 model. On the other, some buyers will not want to miss the PCIe technology that ensures a better sequential performance. 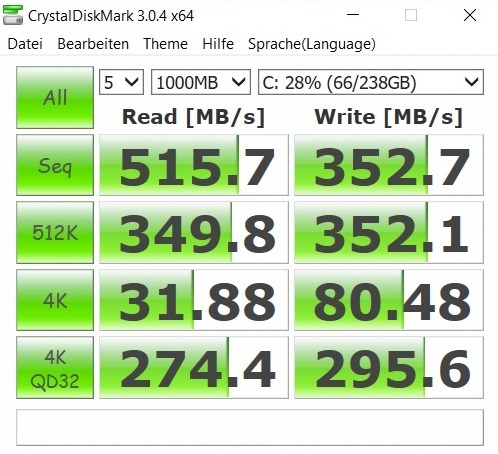 The SATA III drive in the test configuration achieves a maximum of 512 MB/s (AS SSD benchmark). 324 MB/s in write is not thrilling in 2015, either. 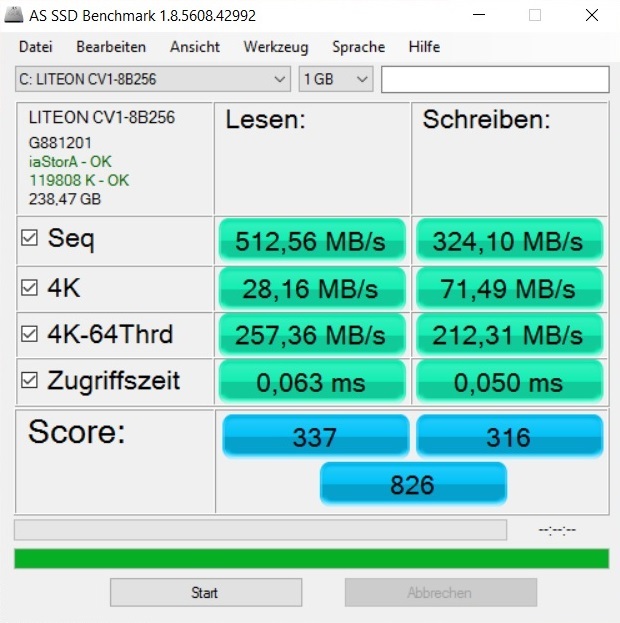 The LiteOn CV1-8B256 copes with small files decently, and the access times also correspond to the typical SSD level (0.063 ms @read, 0.05 ms @write). 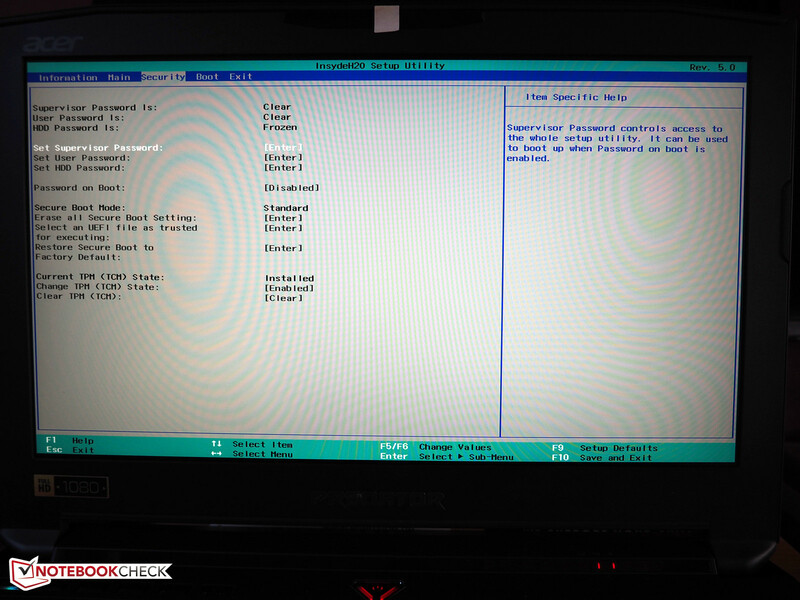 Acer additionally installs an HDD in the 15-inch laptop to supplement the SSD. The 1000 GB version of Western Digital's Blue is ideal for larger amounts of data. Its generous capacity makes its speed (5400 rpm) secondary. 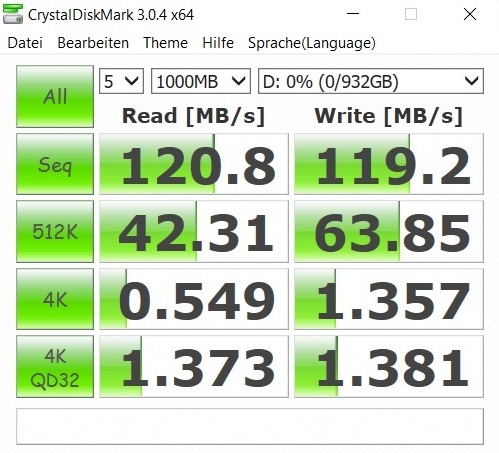 A maximum of 120 MB/s in CrystalDiskMark could also come from a 7200 rpm drive. The former top model GeForce GTX 980M had to give up the title of "fastest laptop GPU" after the launch of the GeForce GTX 980. Since Nvidia's latest leader is very expensive, most manufacturers will rely on the cheaper Maxwell chips even in future. With 1536 CUDA cores, the GTX 980M's performance is closer to the GTX (1280) than the GTX 970M (2048). 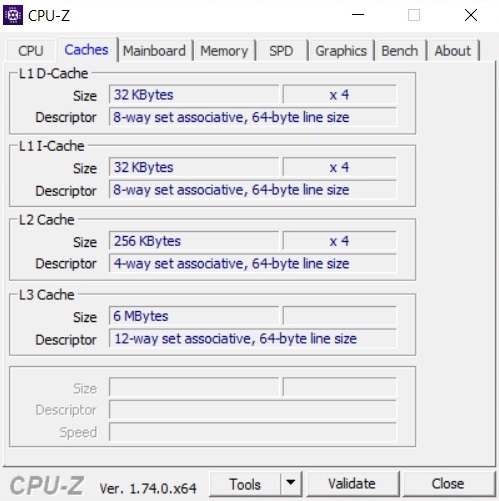 The video memory's capacity depends on the build. A modular GTX 980M (MXM 3.0) has 8 GB of GDDR5 unlike a soldered model that only has 4 GB (GTX 970M: 3-6 GB). That could prove to be a bottleneck in the future. Games already exist that need more VRAM in maximum settings and/or 3840x2160 pixels (e.g. Batman Arkham Knight and Shadow of Mordor). However, regardless whether 4 or 8 GB: The memory interface is 256-bit in both cases (GTX 970M: 192-bit). The clock rates no longer compete with the GTX 980. 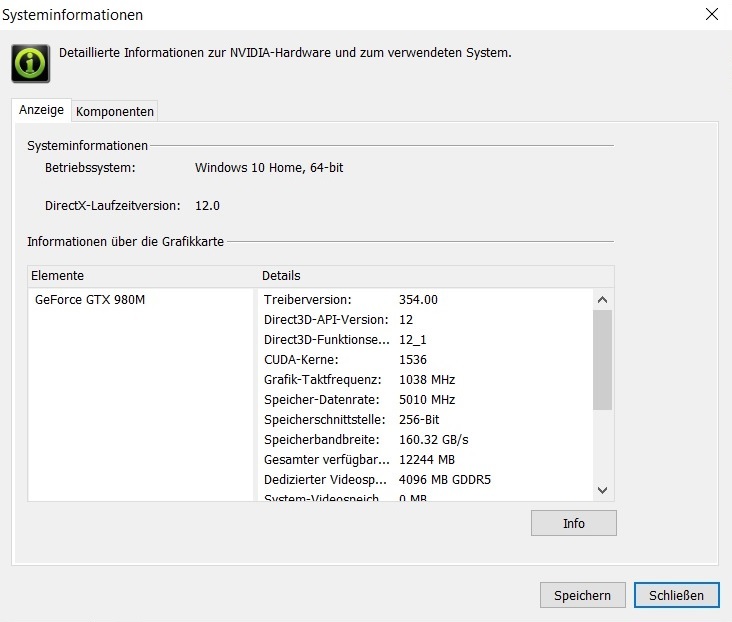 Instead of 3500 MHz, the GTX 980M only clocks at 2500 MHz. The core achieves a maximum of 1127 rather than 1228 MHz under load. The performance drops clearly without the power supply - like in most laptops. We would mention the Unigine Heaven 4.0 benchmark as an example here. The frame rates were almost 50% lower in battery mode (28.5 vs. 59.1 FPS). The results are outstanding when connecting the desktop replacement to an outlet. 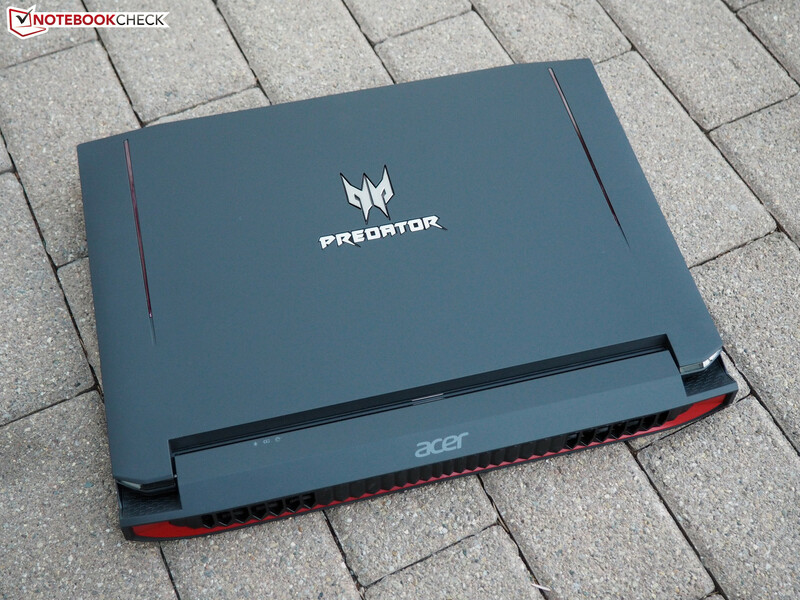 With a Fire Strike score of 8306 points, the Predator 15 settles on the level of the GTX 980 competition. 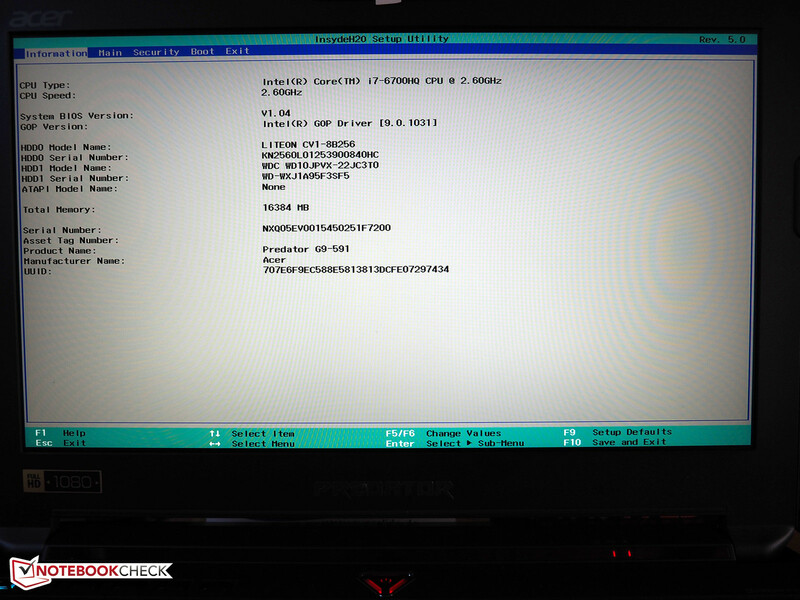 A GTX 970M laptop is approximately 20% slower in synthetic tests. 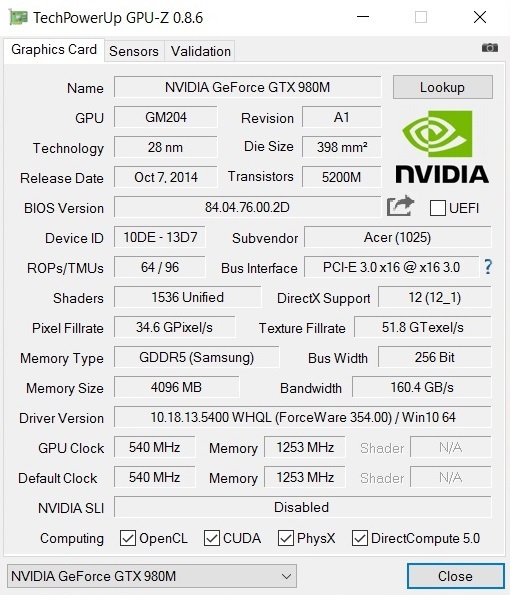 Users who do not connect a UHD monitor will be happy with the GeForce GTX 980M. 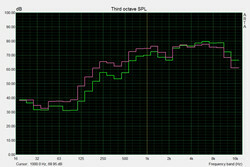 Apart from extremely demanding games, even maximum details do not lead to stutters. Star Wars Battlefront, Fallout 4 and Call of Duty Black Ops 3 are rendered with over 50 fps in Ultra settings. Anno 2205 and Assassin's Creed Syndicate are only playable in the native resolution when limiting the level to High or Very High. In total, the GTX 980M is still a first-rate choice for gamers. Whether or not the exuberant surcharge compared with the GTX 980 is worthwhile depends on how long the laptop is to be used and in which resolution among other things. 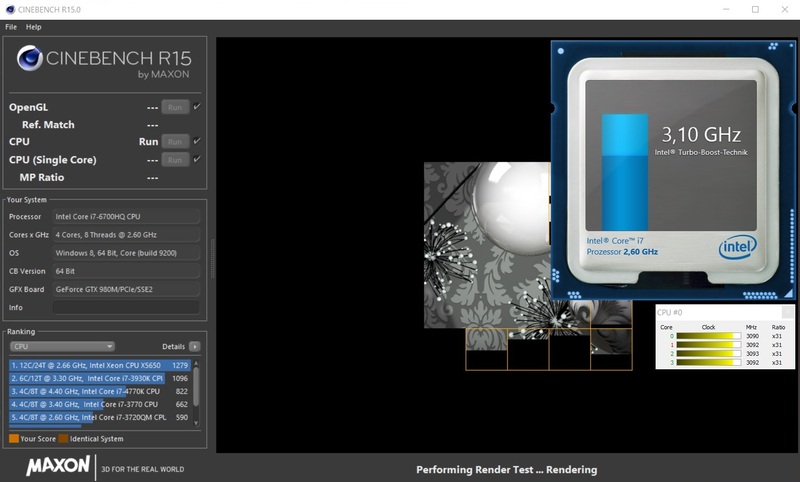 Nvidia's top model has an edge of 30-40% when all benchmarks are added up. The GTX 970M is again defeated by 20-25%. Note: Star Wars Battlefront first started after we updated the GPU driver from version 354.00 to the latest ForceWare 359.06. Unless said otherwise, all emission tests were performed using FrostCore. 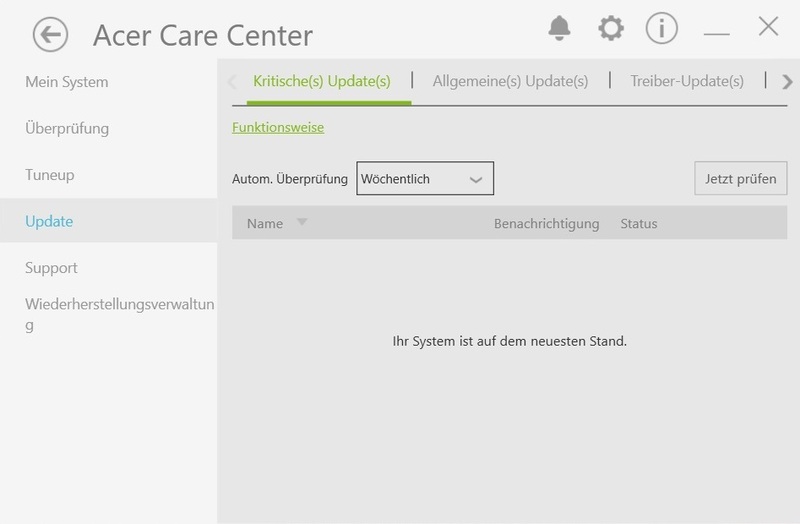 We disabled "maximum fan speed" and the feature "always enable external graphics card." The latter option did not make a difference in the review sample since Optimus graphics-switching was always enabled. The casing's sticker "G-Sync Monitor Support" unfortunately only seems to relate to external monitors. 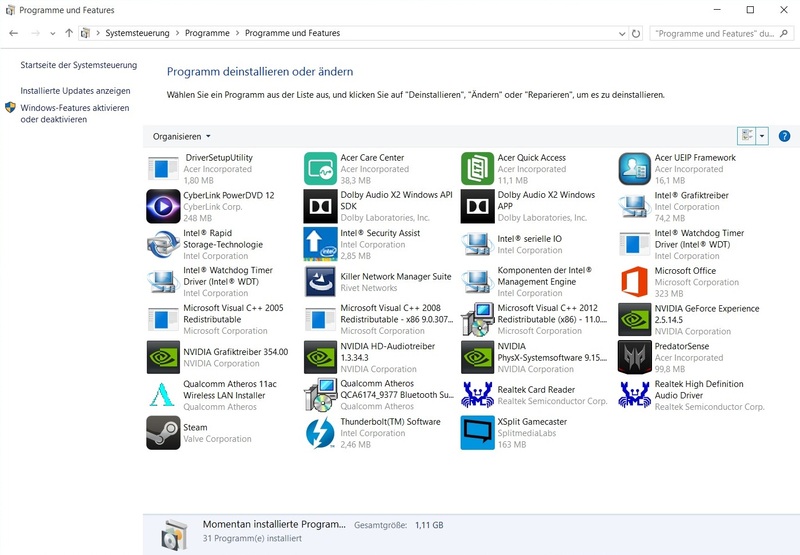 In any event, a corresponding menu was not found in Nvidia's system control. Despite the extra fan, the chassis gets relatively loud during high load. An average of 47 dB in 3DMark06 and 48 dB during full load is a lot even for a gaming laptop. The rivals listed in the chart are usually not as noisy. Our measurements of Alienware's 15 R2 and Gigabyte's P55W v4 only presented a 3DMark rate of 39 dB. 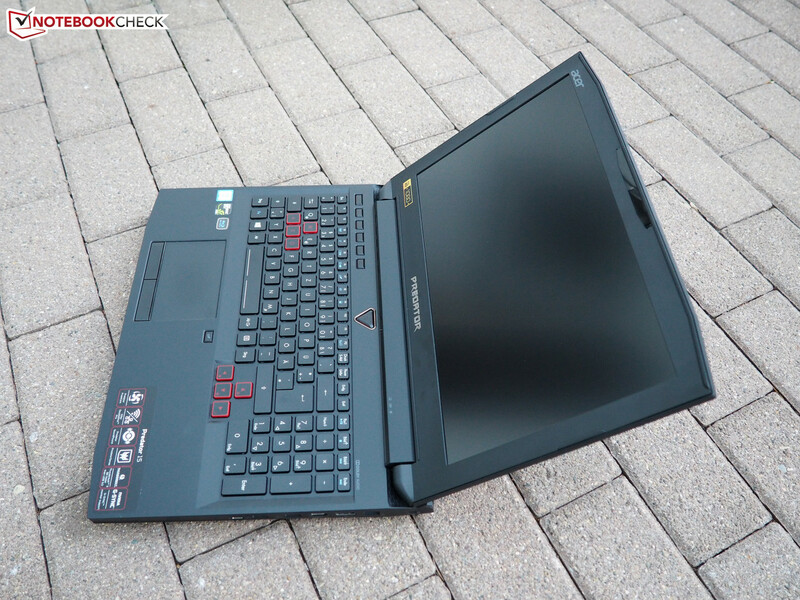 Schenker's XMG P506 and XMG U506 laptops were also quieter with 42 dB and 38 dB. Strange: The noise development does not increase when inserting the optical drive, but decreases. We measured almost 2 dB less without FrostCore in 3D mode. The idle noise development is equal. When the laptop is idling, the fans spin at a restrained 31-32 dB. However, the noise sometimes increases to almost 40 dB for no reason. That might annoy some users. Subjectively, the Predator is louder than it should actually be in low to medium load (updates, installations, file transfer, etc.). At least the cooling is relatively dynamic so that the noise is reduced soon after elongated load periods. The HDD is usually drowned out by the fans. It is only noticed with approximately 33 dB in data accessing. The Blu-ray burner reaches a high 39 dB when playing a DVD. FrostCore might not reduce the noise level, but the agreeably cool wrist rest is definitely a plus point. Above all, the touchpad's left area where the extra fan is situated does not warm up at all even under full load (maximum 26 °C). The rest of the wrist rest also always remains within an acceptable range. 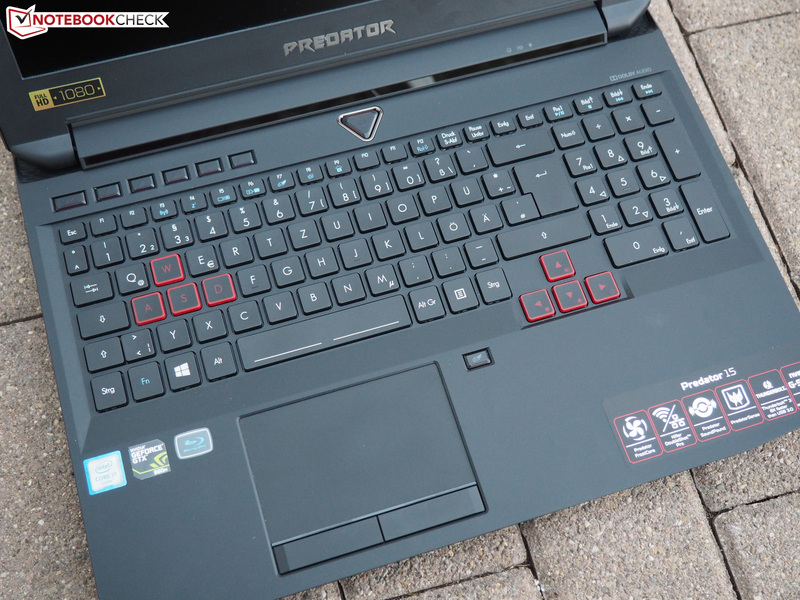 The Predator 15 is nevertheless unsuitable for gaming sessions on the lap. 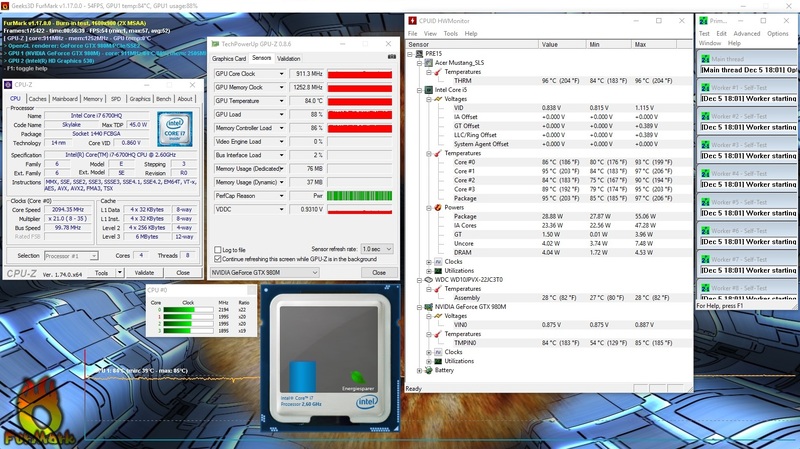 The rear third heated up to almost 60 °C after an hour of our stress test via Furmark and Prime95. The upper side did not get quite as hot with a maximum of 50 °C. The entire chassis remains very cool in idle mode. An average of 27 °C on the upper side and 25 °C on the casing's underside are superb rates that outshine almost all rivals. The hardware gives more reason for complaint. Although the CPU throttles its clock under full load (~2 GHz), it reaches 85 - 95 °C. The GPU also throttles in the stress test, but a maximum of 85 °C is uncritical. The sound system only fulfills our expectations to some degree. 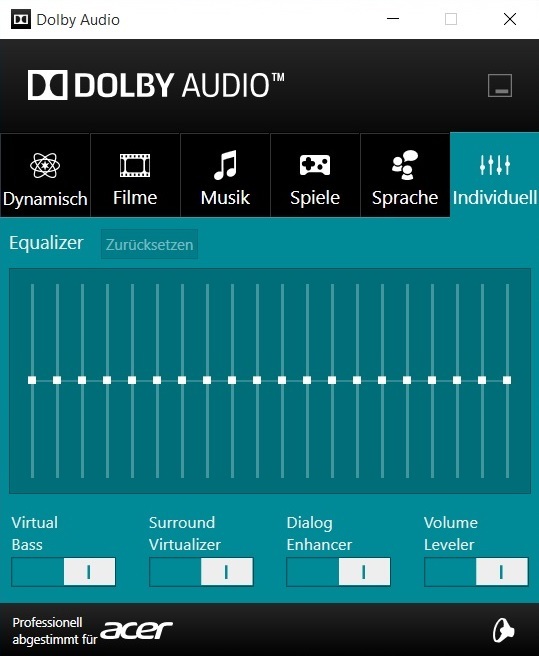 The sound is muffled or - depending on the volume - tends to fray even when using Dolby technology that provides considerably more power and five useful settings (dynamic, movies, music, games and speech). The subwoofer is barely noticed. At least the speakers have decent power. A maximum of 87 dB (pink & white noise) indicates that even larger rooms can be filled with sound adequately. Rarely is more than 50% needed directly in front of the laptop. The Predator 15 is midfield in the category comparison, i.e. gaming laptops with a better and worse sound exist. 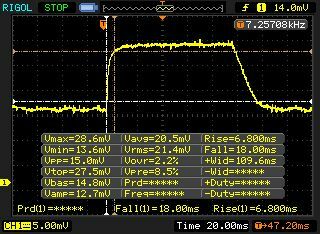 A bug forced us to perform the power measurements twice. 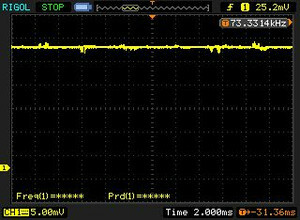 The Predator 15 drained 6 watts from the outlet in standby and turned-off state although it was allegedly fully charged - that is far too much. After a bit of trial and error, we found out that the display that appears upon clicking on the energy icon was incorrect. Only the overlay provided information about the real status. Not least "thanks" to the potent battery, the 15-incher needs very long for recharging. The second run proved that the Predator 15 is quite efficient. An idle consumption of 12-16 watts is surprisingly little for a gaming laptop and almost exactly corresponds to Alienware's 15 R2, also with a long battery life. 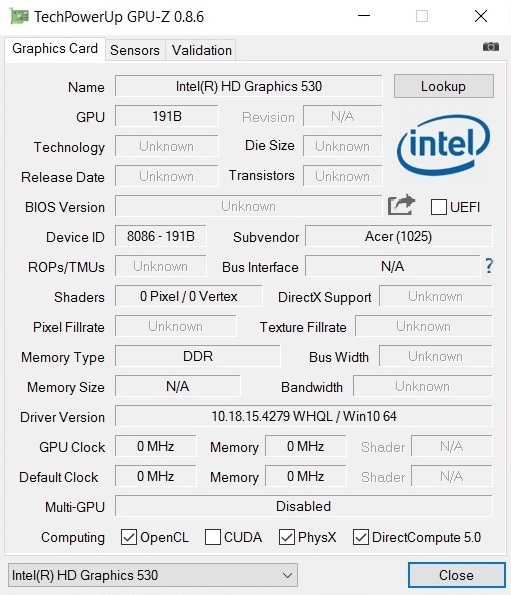 Laptops based on a desktop CPU and/or do not support graphics-switching cannot achieve these rates. For example, Schenker's XMG U506 consumes 60-100% more power. The energy requirement skyrockets as soon as Nvidia's GPU is enabled. 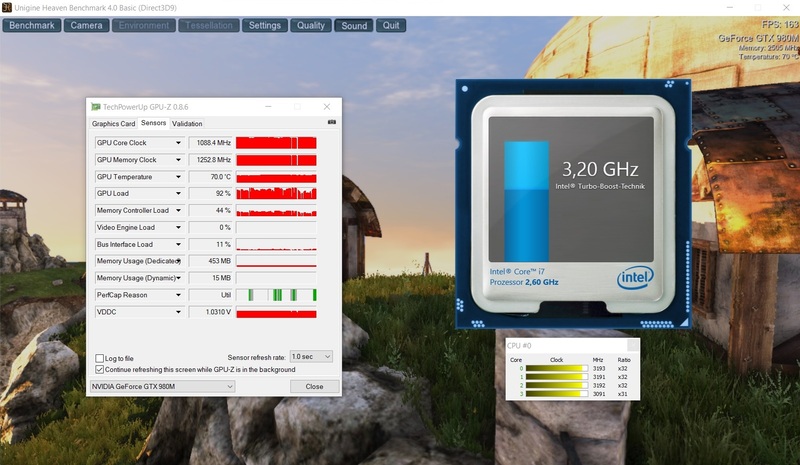 Approximately 100 watts in the first scene of 3DMark06 is normal for a GTX 980M scion. The Predator settles between Alienware's 15 R2 (94 watts) and Schenker's XMG U506 (110 watts) with this rate. The 15-incher guzzled as much as 162 watts in the stress test. Since the battery is drained under full load and the components throttle, the 180-watt power supply is borderline. Our experience shows that a GTX 980M device should be shipped with at least 200 watts. 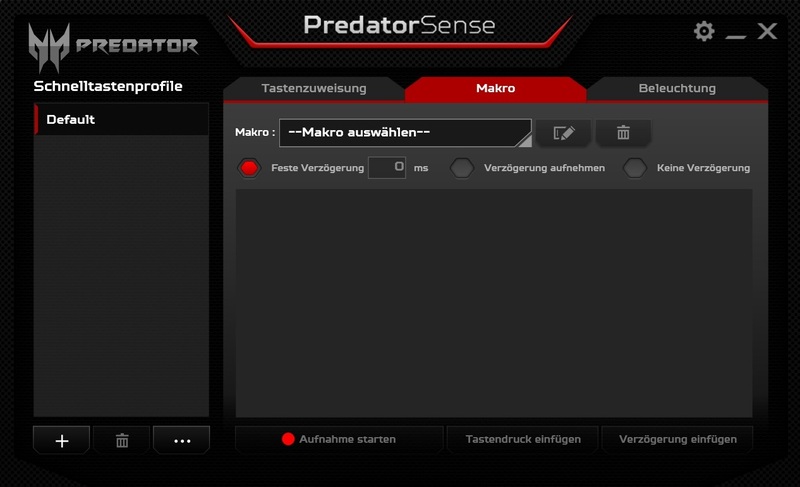 One of the biggest unique selling points of the Predator 15 is its battery life. Although it shuts down after just 1.5 hours of 3D operation (maximum brightness), almost 11 hours of idle (minimum brightness) is outstanding, and presently only surpassed by Alienware's 15 R2. Gigabyte's P55W v4 follows in third with up to 8.5 hours. Schenker's XMG P506 only manages 5 hours at most. The XMG U506 is the taillight with a maximum of 3.5 hours. The Predator 15 only has a weary smile for this outcome. 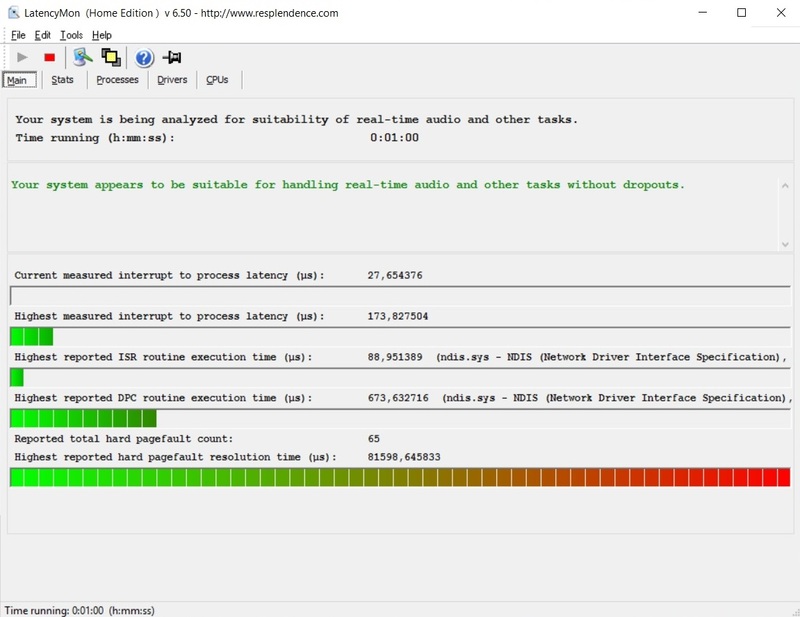 Its battery still manages 7.5 hours when rendering an HD video (brightness: 150 cd/m²). We did not perform the Wi-Fi test due to the short loan period. 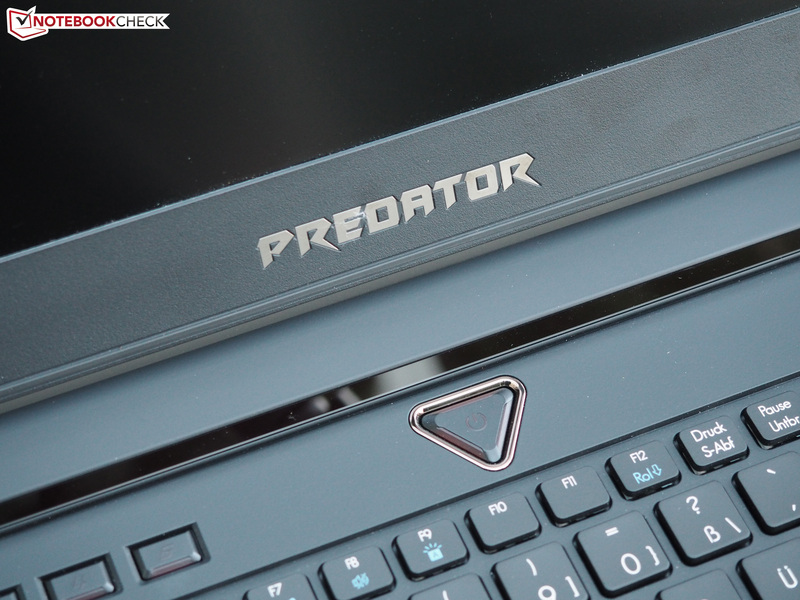 In review: Acer Predator 15. Review sample courtesy of Acer Germany. 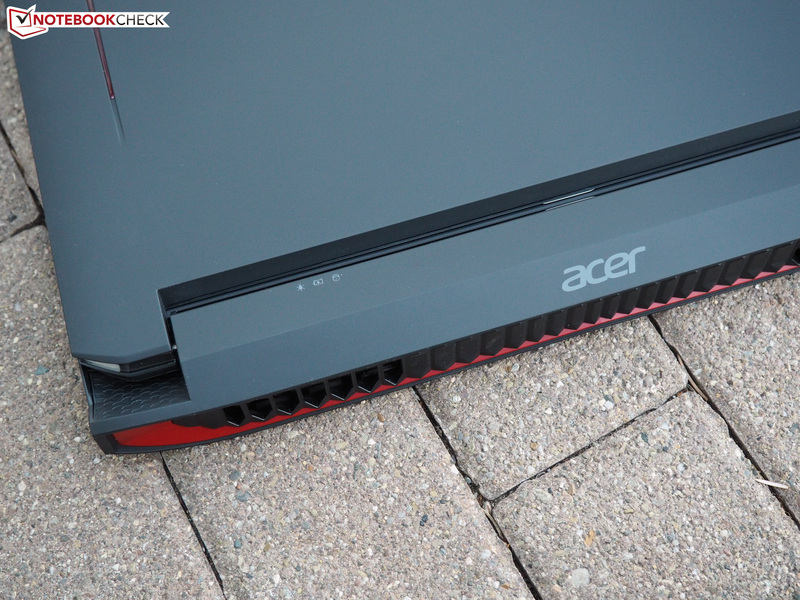 Acer makes a relatively successful high-end debut in the gaming-laptop sector. 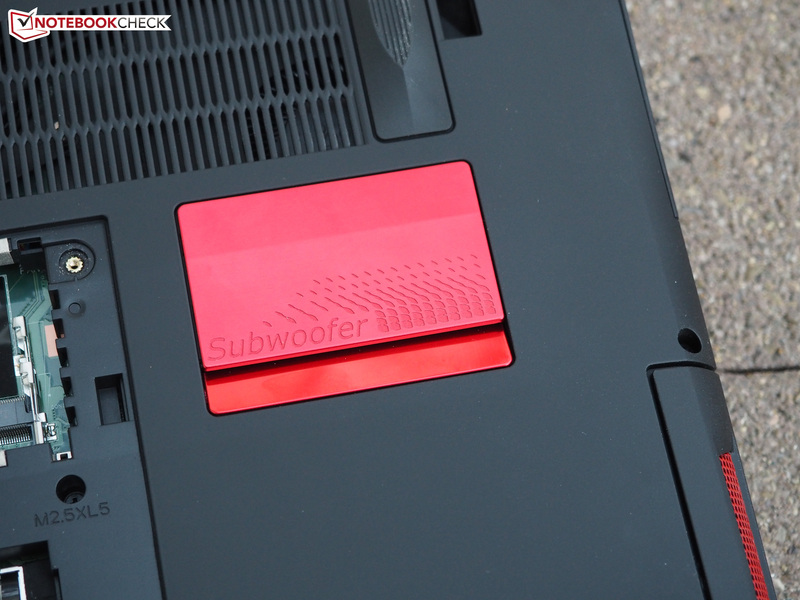 When disregarding the flamboyant design and susceptible soft-touch surfaces, the casing definitely has good sides. Besides the stiffness, the input devices and interfaces are compelling. Not every manufacturer uses a USB 3.1 port. On the other hand, the higher purpose of FrostCore can be questioned. The wrist rests of some gaming laptops remain cool even without an extra fan. 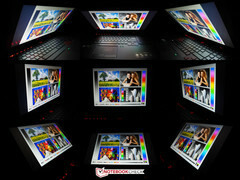 The IPS screen earns considerably more praise. 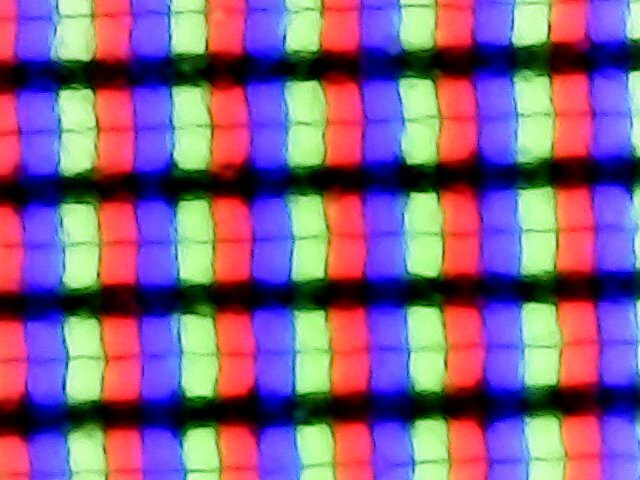 Compared with a TN screen, not only the viewing angles but also the colors are superior. Another purchase argument is the lush battery life. Almost 7.5 hours of video playback at medium brightness makes most premium-range laptops look small. 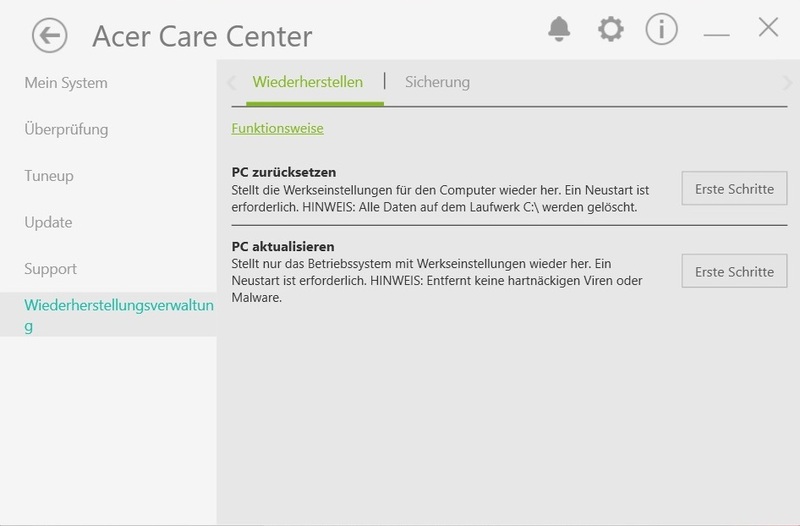 The convenient PredatorSense and Care Center tools should not be forgotten, either. In total, the 15-incher nevertheless does not move into the Top 10. We would name the high weight (3.6 kilograms) and poor maintenance options as main reasons. 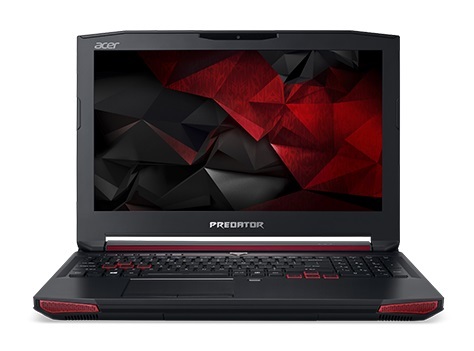 Acer could also improve the sound, the video memory capacity and CPU's Turbo behavior. However, the looks disappointed us most. A somewhat less obtrusive appearance would enhance the image considerably. The laptop's current looks sooner make it more of an alien than a predator.